Bay Rum: The classic and distinctive fragrance -- warm, sweet and spicy! Cedarwood Sage: A masculine but gentle scent which is both woody and herbal. Ocean Rain: Fresh & invigorating, like a summer rain shower at the shore! Each bar is approx. 4 oz. 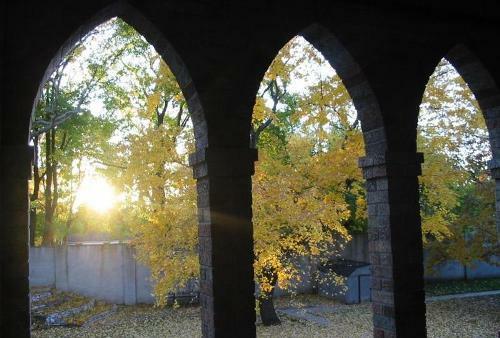 The Dominican Nuns of Summit, New Jersey are a Roman Catholic cloistered monastic community. Their primary mission is to pray for the salvation of souls, and to support the preaching mission of the Dominican friars. They follow the Rule of Saint Augustine in "oneness of mind and heart" while leading a hidden life of Eucharistic prayer, adoration, thanksgiving, and intercession which proclaims Jesus Christ to the world. The first community of Dominican nuns was formed in 1206 by St. Dominic de Guzman. The Monastery of Our Lady of the Rosary traces its roots to 19th century France, where Fr. Damien-Marie Saintourens, O.P., and Mother Rose of Saint Mary Werhle, O.P. 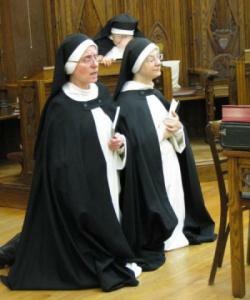 founded a community of Dominican cloistered contemplative sisters whose special apostolate was the Perpetual Rosary. The first American Perpetual Rosary monastery was established at the Blue Chapel, Union City, NJ, in 1891. In 1919, fifteen sisters led by Mother Mary Imelda Gauthier, O.P., left there to found the Monastery of Our Lady of the Rosary in Summit, NJ. The Sisters began making Seignadou Soaps* three years ago as Christmas gifts for their Volunteer Guild, at a time when they were seeking potential income producing ventures. The business has provided a stable supplemental income for the monastery's needs like insurance, medical and utility bills. All Seignadou Soaps products are made by the sisters at the monastery, and while they provide comfort and pleasure to customers, they also serve as a way to introduce people to the nuns' monastic way of life and to share their devotion to God. *Seignadou "Sign of God" refers to the globe of fire seen by St. Dominic over the church that became the first foundation of the Dominican order, and understood as a confirmation of his work by God.